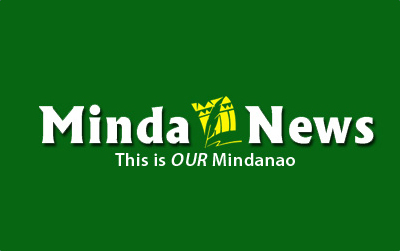 NAAWAN, Misamis Oriental (MindaNews/30 June) — The move to impose new or higher excise taxes on locally produced or processed food products is an indication that the administration is now going to lean heavily on indirect taxation as a policy to raise tax revenue. Excise tax, sales tax, ad valorem tax and value added tax (VAT), also known generally as consumption taxes are common tools of indirect taxation. Indirect tax is so called as it is paid indirectly by the final consumer of goods and services while paying for purchase of goods or for enjoying services. Consider the effect of a higher excise tax on the buying public especially on the poor or low income earners. The excise tax on canned sardines, for instance, will be passed on by the producer to the consumers or buyers in terms of increased price for the product. Similar products in groceries commonly purchased by low income earners will become more expensive and less and less affordable to them because of the new excise tax. Thus, the revenue proposal is anti-poor. Students, office clerks and CEOs who dine at food chain outlets are to pay value added tax (VAT). And the VATs paid by diners are of the same or equal amounts regardless of their incomes or capacity to pay. 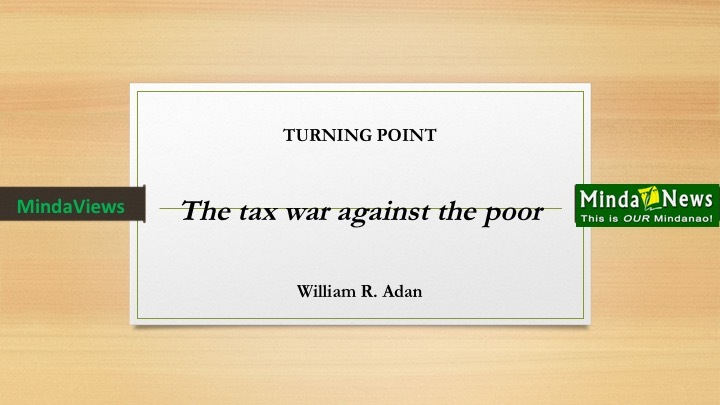 Indirect taxation is broadly based, that is, applied to everyone in the society regardless of incomes or resources. There is no escape from Indirect taxes. Inasmuch as they are relatively easy to collect than direct taxes (income taxes) and have plenty of payers, they attract government economic planners. Reliance on indirect taxation to raise tax revenue is biased against the poor. Whatever its merits, the dangled legislation to reduce the tax on incomes of low income earners loses meaning on the light of the proliferation of indirect taxes that impacts heavily on their limited capacity to pay. Since the cost of the tax does not vary according to income, indirect taxation has the effect of regressive taxation – it is hitting lower-income people proportionately harder than higher-income folks. In other words, it imposes greater burden on the poor than on the rich. And when is taxation uniform and equitable? When is a taxation system progressive? A progressive system of taxation is one in which the tax rate increases as the income increases; while a regressive system of taxation is one in which the tax rate decreases as the income increases. The imposition of flat rate taxes on consumption goods (in VAT, Ad valorem, excise taxes) is regressive in as much as low income earners pay proportionately more than high income ones.